The Estonian Centre for Defence Investments (ECDI) has deemed a bid by German company Eurospike GmbH in the procurement for long-range antitank weapons suitable. The value of the framework contract will be determined in the course of negotiations set to begin shortly. A month ago, the Ministry of Finance decided decided not to launch supervision proceedings regarding the procurement of long-range antitank weapons as it found that the ECDI had not contradicted the Public Procurement Act in the case of possible violations cited by German-British-French-Italian arms manufacturer MBDA in the supervision application and thus there were no grounds for initiating a proceeding. MBDA had not taken part in the procurement, but rather sought a supervision proceeding, claiming that the procurement had been directed. The ECDI has on multiple occasions expressed its regret over MBDA's decision, as the terms and conditions of the procurement would have allowed for the arms manufacturer to participate in the procurement, ECDI spokesperson Ingrid Muhling told BNS. The procurement of a long-range antitank system is a competitive negotiated procedure as a result of which a framework contract is to be concluded with the supplier for seven years. The estimated value of the contract, which must include an option for the purchase of additional units, is €40 million. The Eurospike weapons system is in use in 31 countries, including 18 NAT and EU member states, among them Belgium, the Czech Republic, Germany, Finland, the Netherlands, Italy, Latvia, Lithuania, Romania, Slovenia and Spain. A weapons system manufactured by MBDA is currently only being used in France. The system to be procured will significantly improve the antitank capability of the Estonian Defence Forces' (EDF) infantry brigades as the range and capacity to impact the enemy even when they are out of line of sight will increase, Maj. Alar Karileet, coordinator of the procurement at the EDF, said last October. According to Karileet, the new equipment, which includes the so-called fire-and-update operation mode, is an improved version of the antitank weapons currently in use by the EDF. A nose-mounted camera on the missile will enable the operator to receive real-time intelligence and update target information even when there is no direct sight between the operator and the target. The weapon, ammunition and auxiliary equipment need to be man-portable as well as usable when attached to a vehicle, he added. 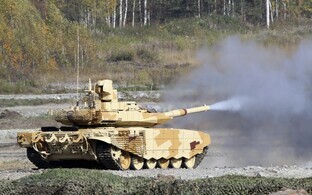 The weapons systems to be purchased are meant for an upgrade of the weaponry of the antitank companies of Estonia's infantry brigades, where conscripts will be trained in their use. MBDA is a European defence industry company headquartered in the UK and with offices and production units in France, Italy, Spain and the US. The joint company's shareholders include France's Airbus (37.5%), the UK's BAE Systems (37.5%), and Italy's Leonardo (25%). MBDA has previously supplied Estonia with Milan anti-tank guns and Mistral anti-aircraft man-portable air-defence systems (MANPADS). 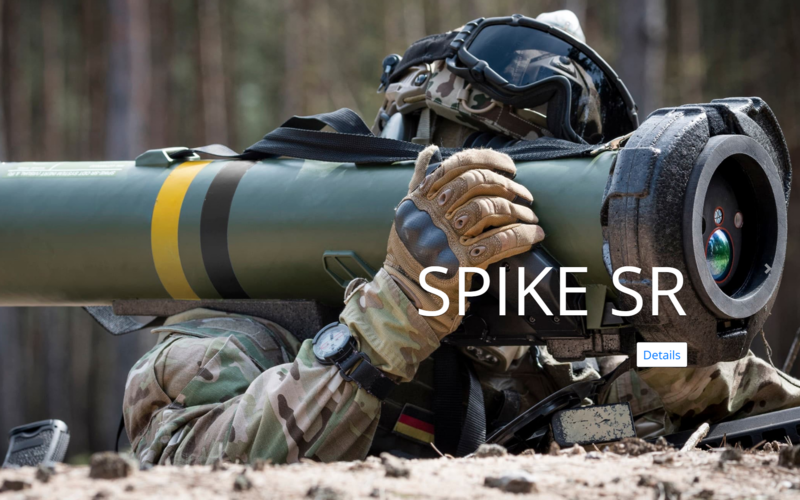 EuroSpike GmbH belongs to German arms manufacturers Diehl BGT Defence and Rheinmetall Defence Electronics in equal portions of 40%; 20% of shares belong to the developer of the weapons system, the Israeli arms manufacturer Rafael Advanced Defence Systems, via the Dutch holding company ERCAS B.V.